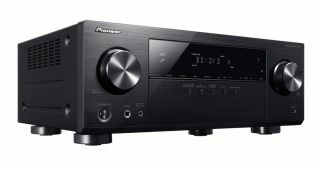 Pioneer launches VSX-531D AV amplifier with DAB radio | What Hi-Fi? The budget AV amp gets a modest upgrade in the form of DAB/DAB+ radio. Pioneer has launched the VSX-531D amplifier, which is basically the VSX-531 with the addition of DAB radio. The entry-level amp supports both DAB and DAB+ standards, so should be futureproofed. Other than that, it's pretty much identical to its predecessor. But considering the original amp earned four out of five stars in our review, that's no bad thing. It supports Ultra HD, HDR, and HDCP 2.2 video pass-through for all your entertainment needs. Bluetooth also comes as standard, for wireless streaming from a phone or tablet. The 5.1 channel receiver packs 130W of power per channel, and supports Dolby TrueHD and DTS-HD Master Audio surround sound on Blu-ray discs. The result? Films will sound exactly as the sound engineer intended. The device is aimed at home cinema enthusiasts looking to take a step up from a soundbar. The VSX-531D is available now, priced £350.